Abstract art and random access memories. I know I spent much of yesterday bellyaching on the topic of celebrities using social media, but it’s not like they’re going to suddenly stop. So while we’re all here we might as well enjoy ourselves. 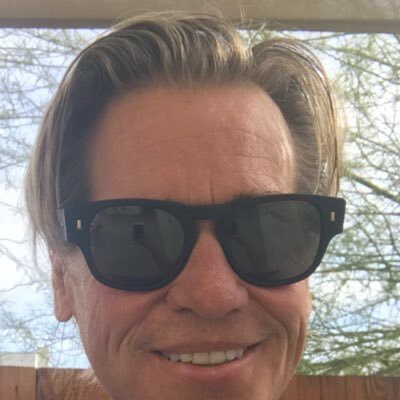 So here’s a pro tip: unfollow the people who keep retweeting Donald Trump into your feed, and replace them with Val Kilmer. You won’t be disappointed. His Twitter is a mix of tweets about Mark Twain, anecdotes about his heady days mingling with other famous people like Lou Reed and Fifty Cent, and closeup shots of his abstract art — usually some combination of enamel, stencils and spray paint. There’s also a lot of “Val-” portmanteauxing going on. Once I whispered to #BridgetBardot all night… in the south of France… and I don’t speak much French… and she speaks even less English. Once Bob Dylan came over to hang. So flattered. He kept askin for Doc Holiday quotes. I said "Ok sing some #Blowininthewind 1st". Wrong ans! Once I tickled cool #LouReed @ a dinner I threw for him. He leaned in and said "I kno martial arts" So talented, but so tortured by his dad. Once Mick Jones came over to a wrap party I had high above the Thames in a glass duplex. Hes super shy but played his hits! LONDON CALLING! Once 50 Cent gave me a red muscle car because I loved my 69 GTO. Inside th trunk said #GUNIT and was FILLED w/amps and subwoofers. I wept. Once Angelina Jolie gave me a ride home on a jet. I surprised her by filling it w/gardenias. She'd also brought a French actor. He was mad. I don’t think valodge means what you think it means. We all need validation. I just need the idation. And we need Val. Smash that Follow button! He’s only got 183,000 followers.